Ruthiebear (Titusville, NJ, United States) on 3 August 2017 in Landscape & Rural. In my opinion, it is quite special to build a chimney on the outside wall when we have it in the middle of the house. Great to imagine people who lived here! Beau mouvement de vitesse en avant plan ! Excelente imagen con magníficos tonos e iluminación... Felices días. Wonderful look at this old house. I really like the pair of brick chimneys that add to the character. Excellent treatment. Coucou ma jolie Ruth, magnifique, cette maison est superbe, très belle photo! Bise, bon jeudi dans la joie! Great tones captured in this vintage B&W shot!! Looks like a house worth rehabbing. Attractive processing Ruthie, nice result. In your great country there is plenty of space. I like these large wooden houses in the countryside. Precious of your photography and a good edition... HUGS dear friend! Excellent shot! A lot of character in that old house. Great tones of the fine old house. And the blur on the bottom edge gives a sense of movement. 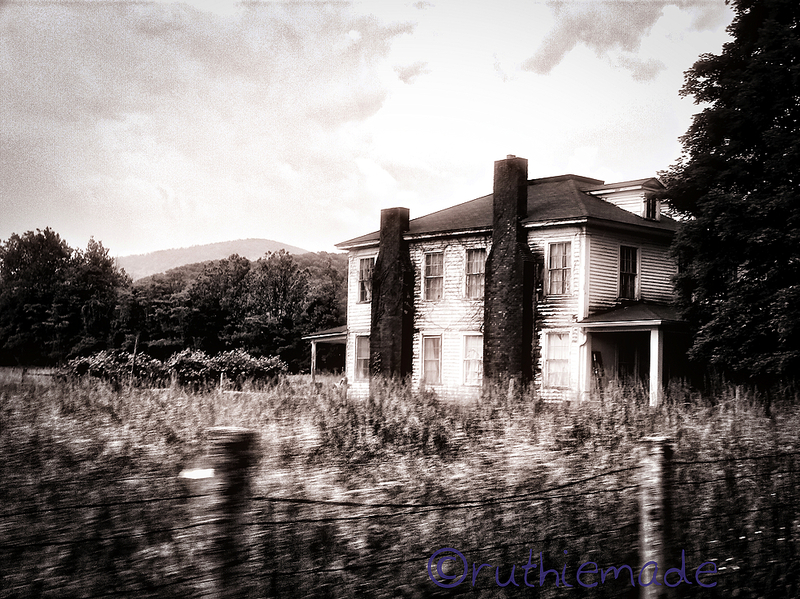 I like the movement in the field next to this old, pretty house. A very nice speeding image. A beautiful image of this large old house. Nice processing, too. Quelle maison e tiamge quel cyprès et captage sueprbe compo.